Capt. Jacks and I have been junking since she was itty bitty. In fact, she probably went junking with me while in the womb. She is now all grown up and when I was in North Carolina visiting her recently, we decided to do one of our most favorite things in the world together. 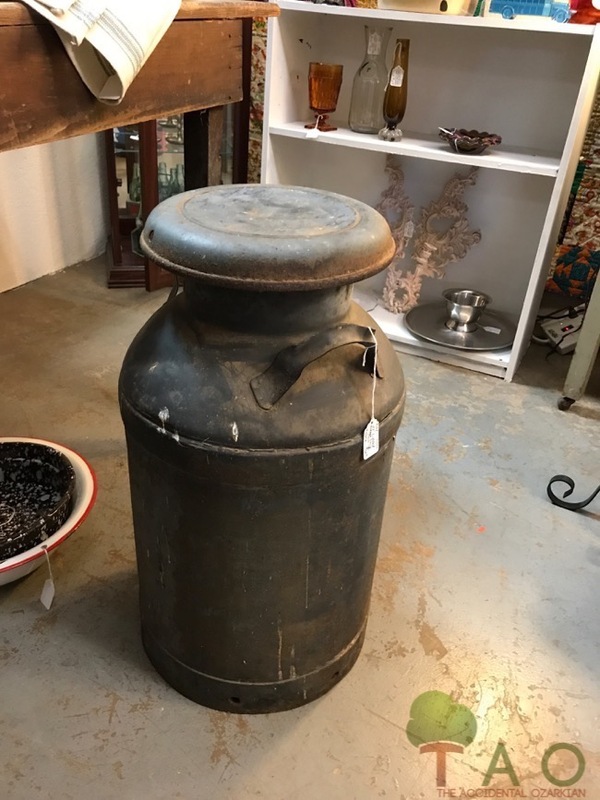 You guessed it: junking. 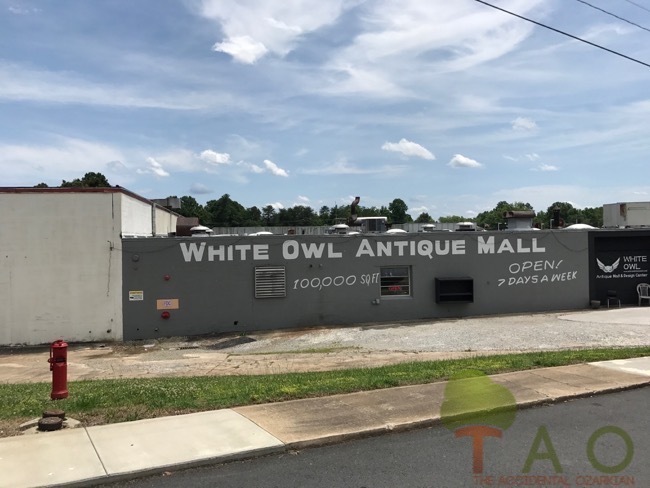 She suggested that I do a post about some things we can count on seeing — everytime we head to an antiques place or flea market. 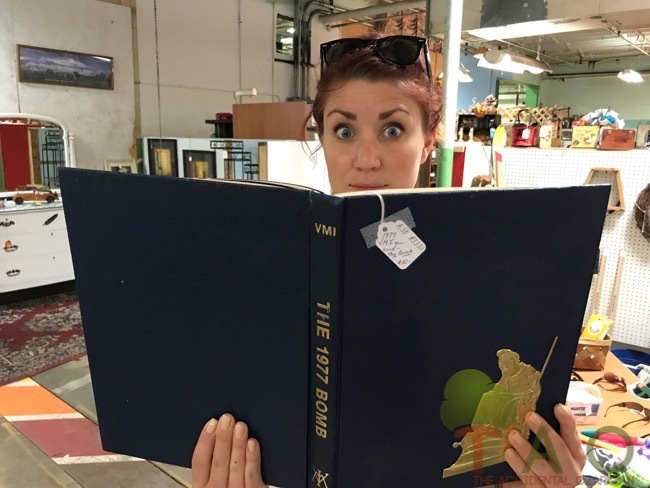 I know we’ve missed some (or a lot), but here are 21 things you are sure to see while out there junking. 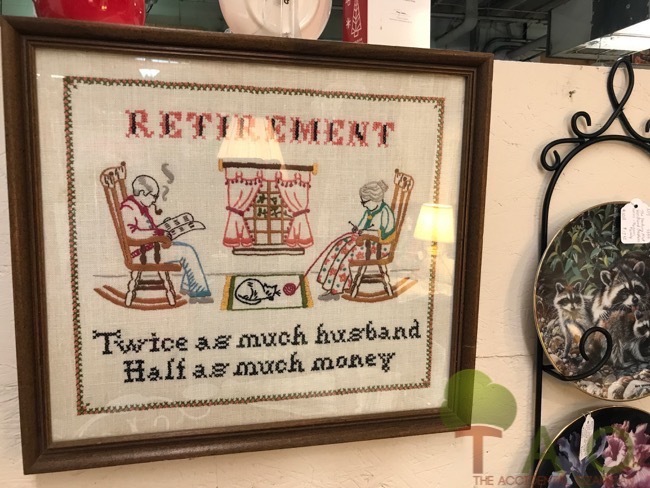 You’ll always see stitchery projects, but since my husband recently retired … well, we got a little laugh outta this one. 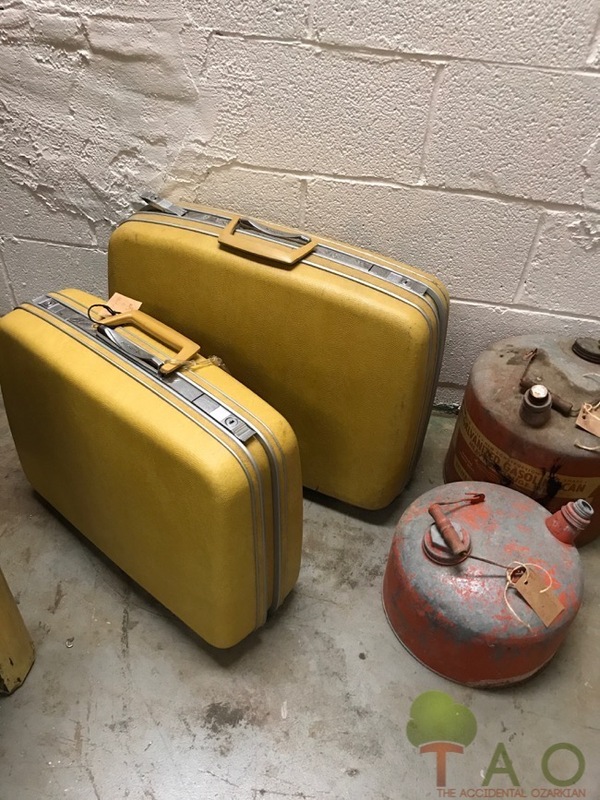 Here’s a double play, for sure — old luggage (Does anyone really use these dinosaurs for real travel?) and old oil cans. I have not seen one of these old Samsonite suitcases pop out on an airline baggage belt ever. The Union of Soviet Socialist Republics. The USSR. Remember The Cold War? 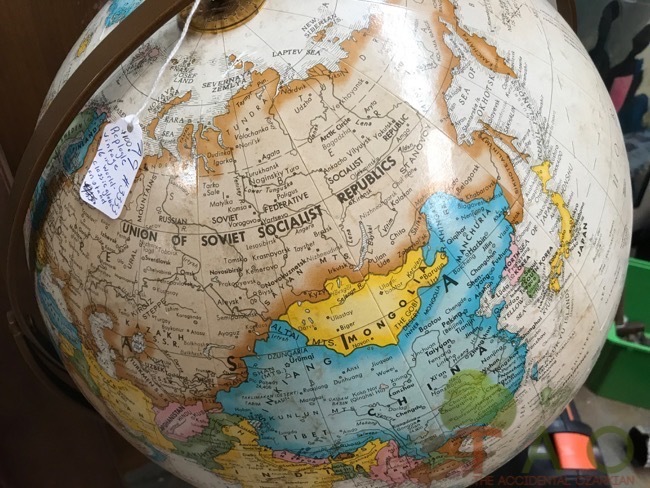 These old globes are so interesting and would make a great addition to a den and what a conversation piece! Do mugs reproduce in the dark in these places, as they do in my cabinets? Here’s a special one that a biker would love. Coca-Cola products abound, especially in an area that hosts the Coca-Cola 600! 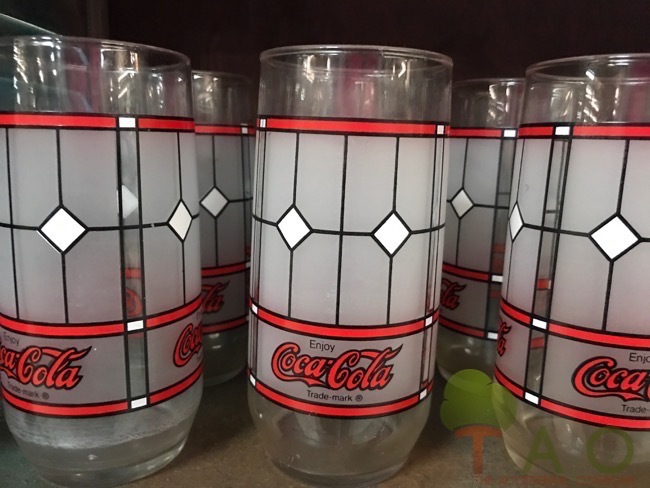 I’m drinking from a Coca-Cola glass right now, in fact. 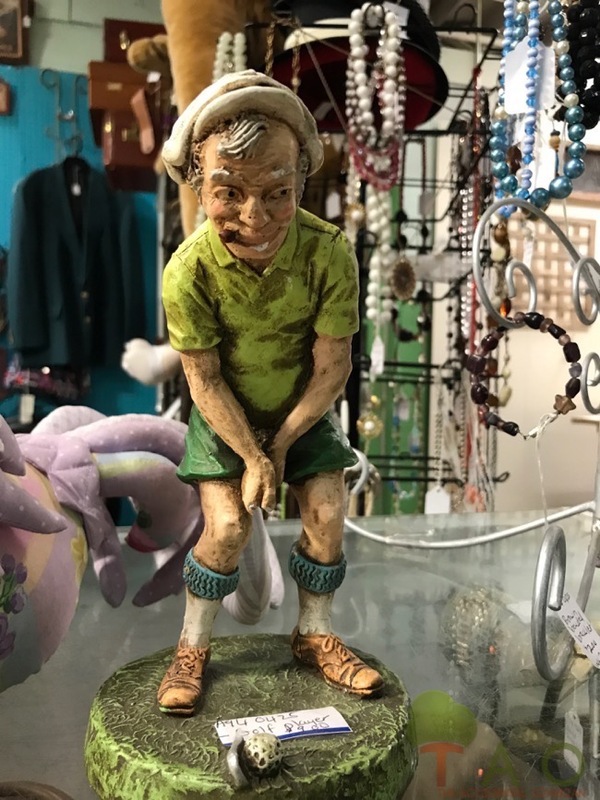 Weird statues can always be seen at junk stores. This guy is missing his putter’s stick. Check out his expression. Oh my, you could have fun creating your own trophy for your fav golfer with this one, right? 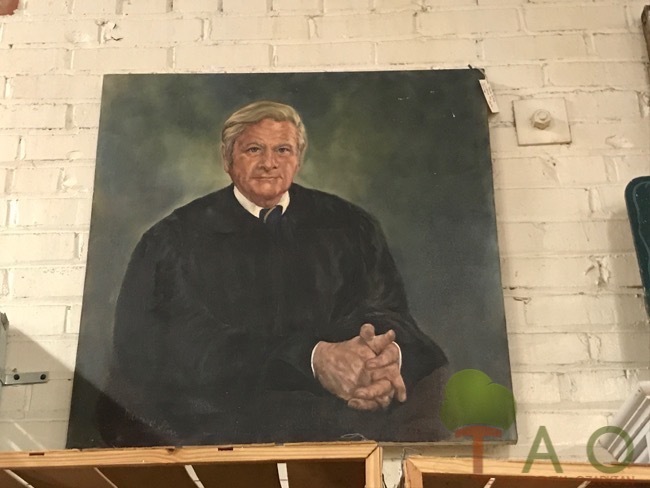 “Artwork” featuring The King on black velvet can often be found. 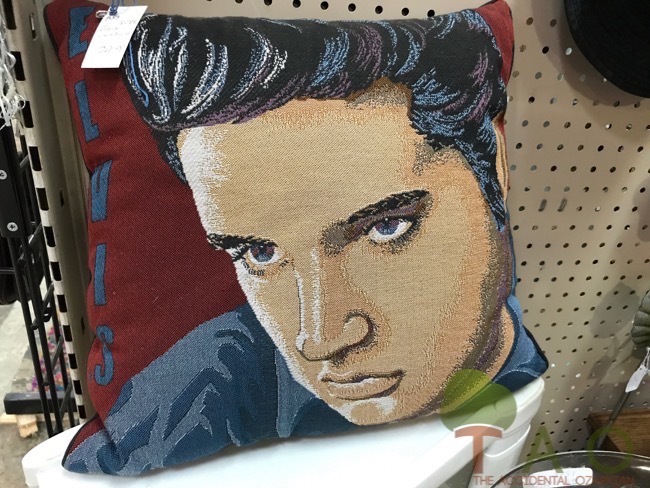 This is a nice twist … a throw pillow. Slightly creepy eyes. At some point of raising children, I decided to start making their birthday cakes, thanks to Wilton cake pans. 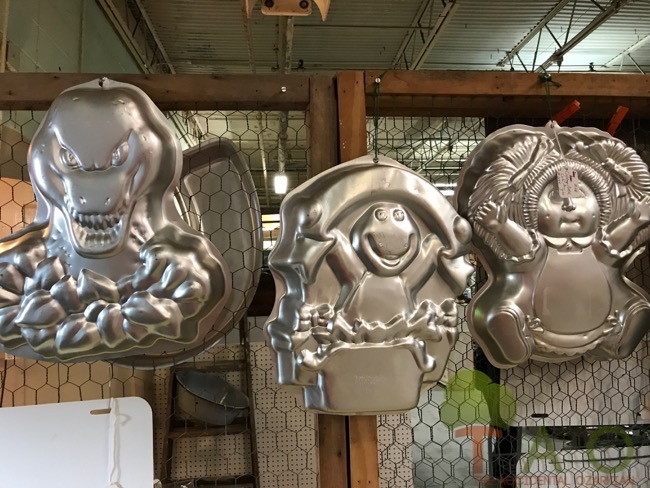 Check out the retro Cabbage Patch doll and Barney pans, and these were about $3 each. Hmmm. Old signage or new metal signs can be fun to hang around the place. Again, we chuckled at this one. Capt. Jacks found an interesting knick knack, or chotchkee. 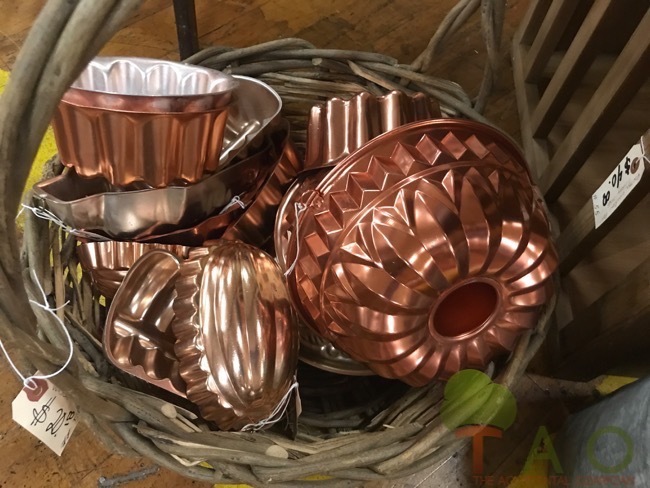 You could clutter (or decorate — depending on your attitude) your abode easily and cheaply with some of the items you can find while junking. 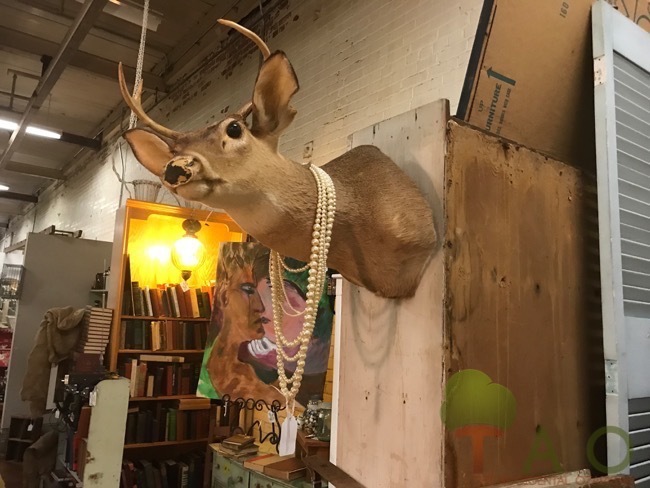 Taxidermy, and usually old and creepy, has been tossed out throughout the years obviously, and I have a pet peeve about doing anything to adorn animal mounts. Don’t like it. Keep them natural. 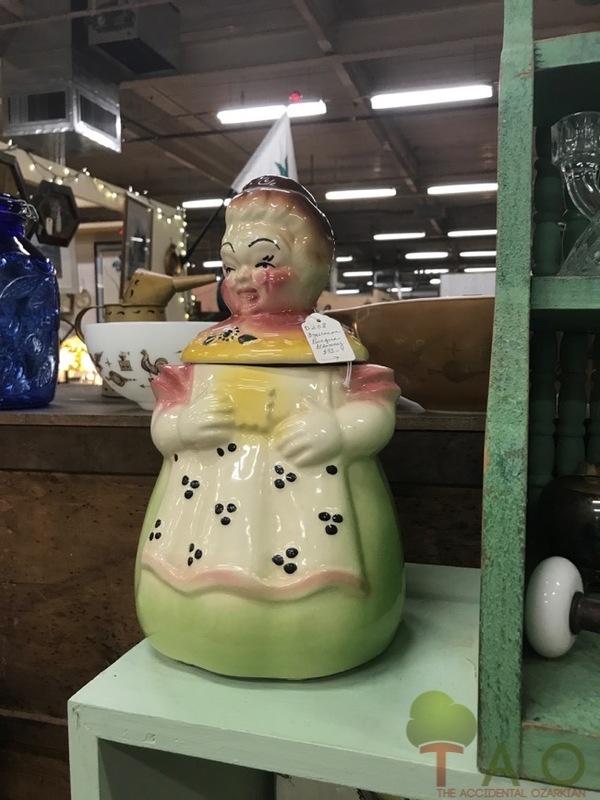 If you’re looking for a one-of-a-kind cookie jar, check the junk shops and flea markets. They will not disappoint. 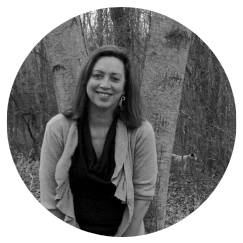 This one looks like she had muddy dogs jumping up on her apron. You can always find old photographs, and portraits of people you don’t know. Check out the size of this guy’s hands in relation to his head. 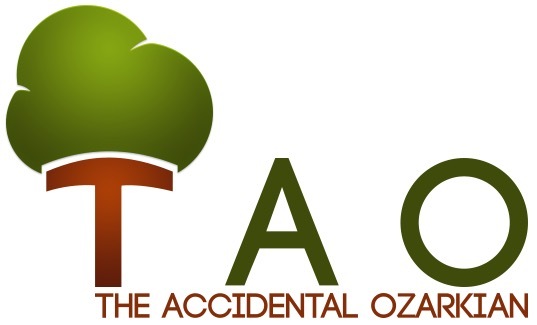 A little off, I’d say. Either he is a judge or in a choir. He’s too old to have graduated from high school. If you’re into the metals … copper can be mined at these places. Old Jell-o molds, brass and silver line the shelves. Capt. Jacks’ boyfriend bought this book and already made a mushroom pot pie. 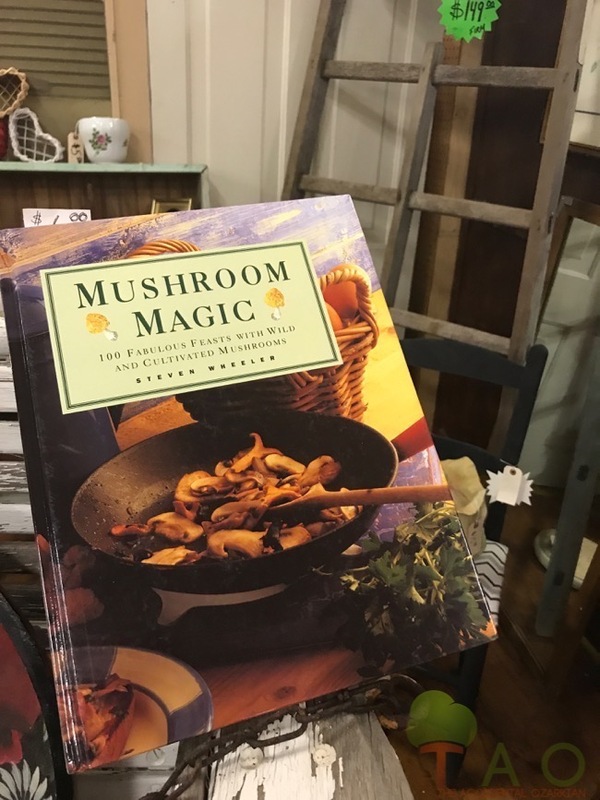 Since we love morels, this book will get some heavy use. Also, you can find those back issues of cookbooks that you’ve been wanting, or special cookbooks from charities and churches. More metal. And always … weren’t these the rage for decorating in the ’70s? 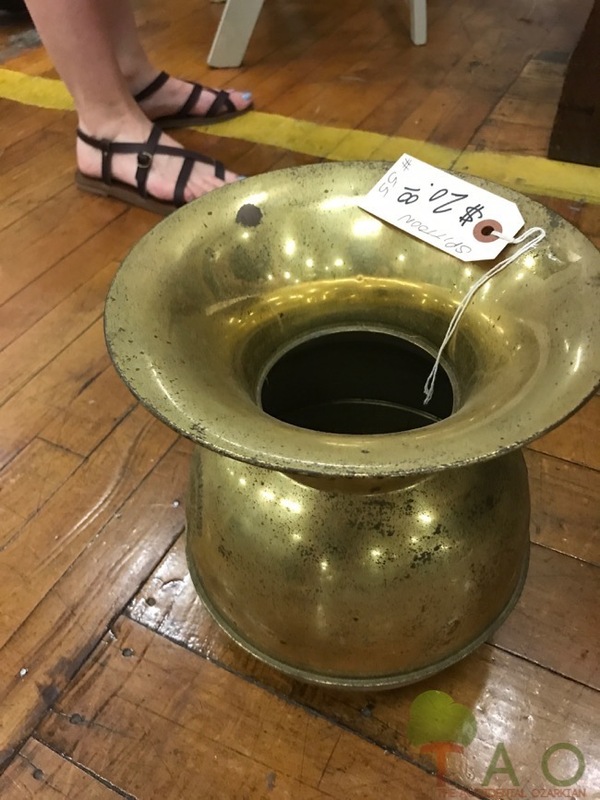 A brass spittoon. Maybe this one actually stood at the ready in a saloon out West? That face. It never changes. 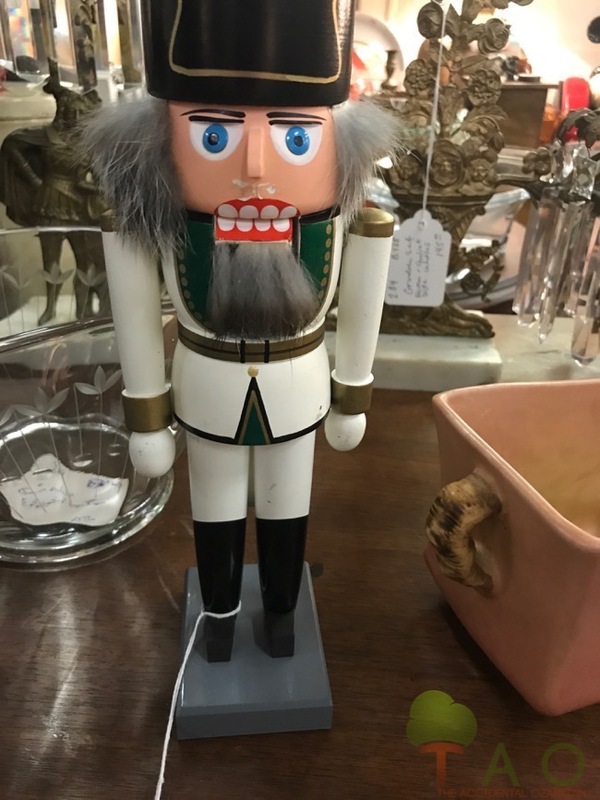 All nutcrackers appear the same. Somber and waiting for duty to call. 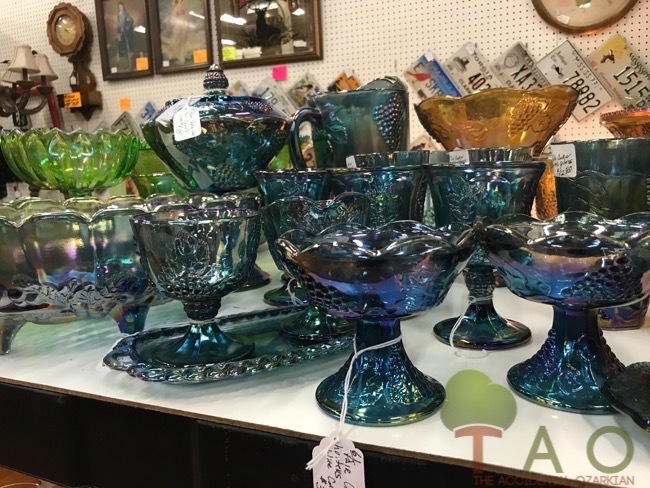 This place featured an extensive collection of Depression Glass. So beautiful, and I think blue is my favorite color. I have 3 cream cans waiting for something artistic or useful to happen around here. 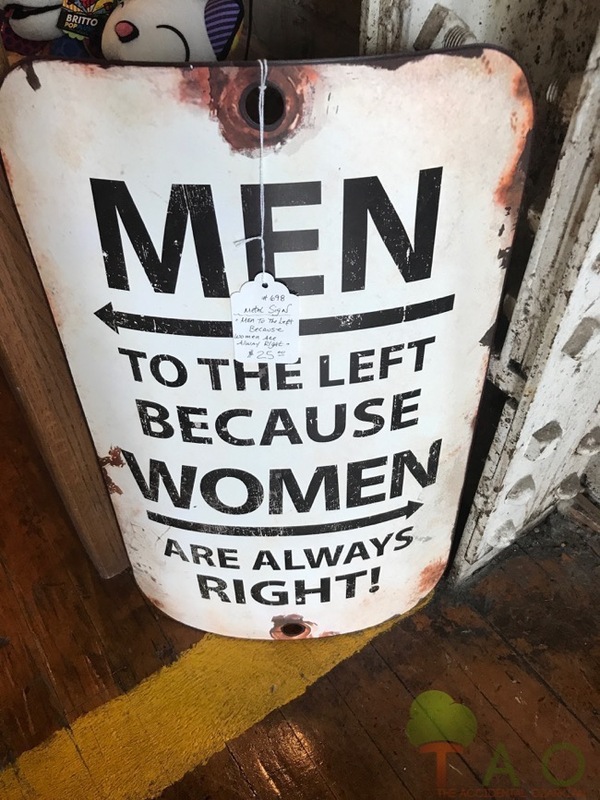 There’s always one standing somewhere in a junk shop, it seems. Capt. Jacks found this yearbook, and it’s interesting, because it is from Virginia Military Institute, a place where her dad taught for a few years. 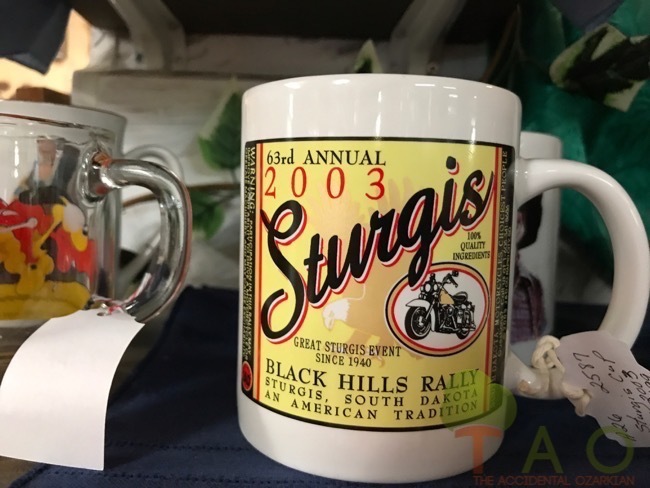 We found several of these items at the White Owl Antique Mall in Mt. Pleasant, NC. 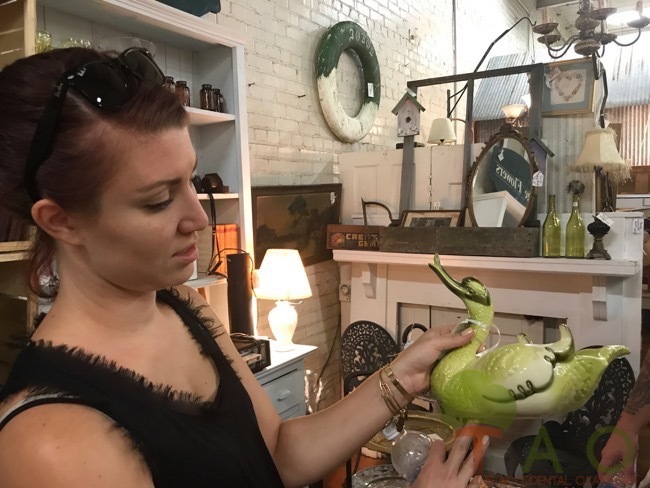 We also enjoyed several hours at The Depot at Gibson Mill Antiques Mall, in Concord.